Traditional brick-and-mortar schools are not the only option for children. Online public schools offer the same opportunities for quality education as conventional schooling. One should consider some important phenomena before deciding against starting his or her child at an online public school. With traditional schooling, children learn with many classmates at the same time. Typically, in traditional public schools, children have little to no opportunities to work ahead if they understand the material, or to spend extra time on a lesson if they need more assistance. Students have to move on to the next lesson because that’s what the instructor is teaching the rest of the class. Another aspect that makes online education different from traditional schools is the personal attention from teachers. A student can contact his or her teacher and establish a Skype meeting, send an email, or call the teacher at approved times. While the teacher is not face-to-face with the student, many ways exist to receive personalized attention for students in online education. Another benefit of online public schooling is the preparation for college. Most colleges offer online courses to students, and enrolling children in an online public schools aids in preparing them for the online college courses. This format is wonderful for many people as it allows flexibility, but it can be difficult to adjust to in college. Starting your children in an online school when they are young will help them succeed in the online college courses they may take as adults. Online public schooling offers customization for students. Instead of going to school and sitting in classes with many students, they can choose when to do their homework or when to listen to the lessons. This allows them to optimize their learning potential for a schedule that works best for them. Virtual classes enable children to learn where they desire. If they can concentrate best while sitting outside or in a quiet space, they can use this environment to maximize their learning potential. Since it is online, they can attend school even if they are on vacation. While many are hesitant to send their children to online public schooling, parents need to understand the many benefits of learning in an online environment. Online schools offer students the chance to prepare for online college courses and receive personalized attention from their teachers while they learn at their own pace. Online public schooling is not the answer for everyone, but many children excel in this format of education. Education, in this age of information and misinformation, is going to be paramount to get right as a parent. And plenty of ways exist to do it, not just homeschooling; it’s just up to you to discern which is best for you and your child. Arming a child with knowledge early in his or her life will position him or her for continued success. Not only does a great educational foundation provide the skills for a child to reach his or her greatest potential, but it also cultivates a better future society. Our children first learn the most from their parents, and they must lead by example to help the next generation. Parents know how significant their jobs are, but they can only do so much. When deciding on a school for their children to attend, parents must devote serious attention to the quality of teachers and administrators at the institutions they consider for their children. Parents have a right to demand that schools create environments where students can thrive academically. Students will not, unfortunately, thrive academically in schools that don’t have effective teachers and administrators. Here are some phenomena to contemplate as you attempt to prepare your child for academic success. It makes sense that investing in the education of a child builds a more prosperous and peaceful citizen. Those who have some kind of educational foundation are more likely to commit themselves to academic excellence and the notion of the life of the mind. A school system that continually challenges a student will lead him or her to see the value of lifelong learning. With a better education and more efficient ways of assessing our children’s abilities, more of them will feel valued. This will certainly lead to a more productive society. In children’s early learning, assist them in discovering their distinctive beliefs and worldviews. Early learning should be fostered by their own curiosity about the world, with lots of support, validation, and hints offered. As the saying goes, “Out with the old, in with the new.” We need to focus on alternative means of assessing our children’s academic growth. If you’ve ever taken a standardized test, you know how mind-numbingly painful it is to stay focused and regurgitate all the information you were forced to memorize. Students need new ways of being evaluated, such as oral exams or presentations. Modern schools are becoming better at employing new methods and strategies of imparting new material. Observe the ways in which your own child responds to different methods of learning, such as visual, auditory, and tactile learning, and identify ways you can address his or her needs inside and outside of the classroom. Online schools are increasingly becoming attractive options for parents for their children’s education. Not only are college classes held online, but entire K-12 schools are now online. These types of organizations are especially advantageous for those who don’t have easy access to a school, or children who want to be homeschooled without having their parents as teachers. Online learning also has the benefit of being directed by the student’s own curiosity. Some K-12 online schools offer field trips and community resources that allow for social engagement and community learning, as well as an individualized pace. Ensuring the next generation is equipped with the tools essential for educational success is our responsibility. With some sweeping educational reforms, we can empower our children to evolve in a society where they are ready to ameliorate it persistently. Parents should lead the effort to advocate for the educational reforms necessary to improving American public schools dramatically. 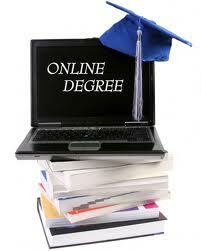 Unfortunately, any person with the talent to design a website can claim to offer accredited online degrees. For those considering obtaining a degree online, it’s important to resolve whether the institution they’re planning to attend is legitimate and accredited. Mayfield University and Must University are two fake online “universities” scamming people out of their money. People across the world have been scammed out of their money by these two fake and unaccredited “institutions.” Although Mayfield University and Must University both have nice websites, the attractive appearance of the websites are a part of the scam the people behind these websites are using. The Council for Higher Education Accreditation (CHEA) offers a database for people to check to see if an institution has accreditation in the United States. This database also provides consumers with a list of legitimate accreditors. We have to be careful about giving money to the people behind these scams, considering Rochville University, a phony online university, is believed to be a vehicle for terrorist funding. Consumers must understand that they cannot earn a degree completely or mostly through “life experience” credits. When you hear and/or see a degree being offered solely or mostly through life experience credits, then this is one of the strongest indicators that this is a fake and unaccredited institution. Don’t get so desperate to obtain a degree that you’re willing to buy one from these bogus operations, such as Mayfield University, Must University, and Rochville University. After spending large sums of money for these phony degrees, you will be highly disappointed that you wasted your money. Although many people like to get something for nothing, a degree is something that you have to earn—legitimate degrees cannot be bought. Numerous Revolutionary Paideia readers have contacted me about the aforementioned online universities. They have shared with me how they have been scammed by these bogus operations, and they have asked for my assistance in helping them to get their money back that they have lost through these scams. Fortunately, many readers are thanking me for writing articles that helped them to avoid the scams of fake online institutions. We have to spread the word about these online universities to make it possible for more people to evade the scams of online universities. It’s unfair for anyone to attempt to argue that fake online institutions should keep everyone from pursuing degrees online. If you have a desire to obtain a degree online, then you need to check with CHEA to see if the institution is accredited. If the institution does not show up in CHEA’s database, then you shouldn’t waste your time with the school. CHEA’s database aids us in resolving whether an institution is accredited. While an institution can be legitimate without having accreditation, it’s best to avoid those online institutions that aren’t accredited. Attending an unaccredited online institution could put you at risk of attending a phony institution. Never settle for the lies of phony online universities. Although many people lack a respect for online learning, online education has a long history in the academy, including at elite universities like the University of Wisconsin-Madison and UCLA. In the above infographic, one has an opportunity to see how online education continues to play an instrumental role in educating numerous people across the nation and world. Many people of color simply have circumstances that do not allow them to attend traditional brick and mortar higher education institutions. Fortunately, higher education has a strong online presence. Most traditional colleges and universities now offer some type of training and/or undergraduate and graduate degrees online. For example, at the University of Arkansas (www.uark.edu), one can select from a range of undergraduate and graduate degree programs (even doctoral degree programs). For students looking to attend a historically Black college or university, Albany State University (www.asurams.edu) offers undergraduate and graduate degrees online. Another traditional brick and mortar university that offers undergraduate and graduate degrees online is Troy University (www.troy.edu). For people of color looking to pursue higher education and need to benefit from the flexibility of not having to attend a college or university in person, I highly recommend you consider attending a college or university online. You may be thinking that you could attend college if only you could have the flexibility of not having to attend classes physically. This may be the thought of some people who think that their current jobs would interfere with them attending college. In a post-affirmative action society, many students of color should really consider online education as a means of receiving training in higher education. You may not have the funds to live on campus, so it may benefit you to attend the college or university you plan to attend online. If you want to participate in student activities on campus, you can always drive to the physical campus—if the institution is near you. One of the strongest reasons why I think online education can be one of the best ways to improve access to higher education is it reduces costs that accompany physically attending a college or university. For example, if you are attending college online, then you don’t have to worry about parking costs, increased fuel costs, having transportation to and from school, room and board expenses, and etc. For many people of color, these significant savings can make the difference in their ability to attend college. 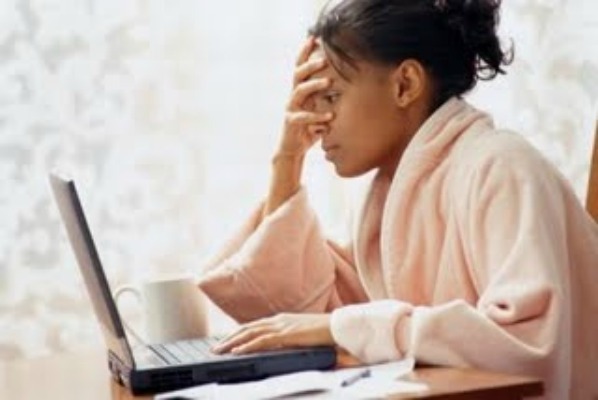 Some acts of racism can be avoided by attending classes online. If you attend a predominantly White institution online, then you could avoid campus issues that involve race in undesirable ways. For those interested in attending completely online universities that do not have challenging admission standards, then you might want to consider Walden University (www.waldenu.edu) and Argosy University (www.argosy.edu). Those two online universities are accredited by the same accreditors who accredit an elite university like the University of Wisconsin-Madison. Walden University and Argosy University are two quality online universities that some students of color who have not performed well coming out of high school or even undergrad should consider. I am not trying to promote online education as the panacea to problems that students of color have with gaining increased access to higher education. Online education, however, is something we should consider when thinking about how to improve access to higher education for students of color.